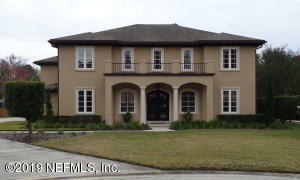 Luxury custom built pool home in Julian Place which you must see to appreciate. High end custom finishes & floor plan features 4 bedroom suites, 5 baths, plus bonus/media room built in 2011 with 4544 square feet of living space. Interior features include wood floors throughout home & travertine in bathrooms & laundry, wrought iron staircase, custom base boards , window casing & crown moldings, coffered ceilings, 8 foot interior solid wood doors, stone fireplace in family room, ceiling fans, upgraded lighting, arched doorways, smooth textured ceilings, inside laundry center with washer, dryer, built in cabinets, granite, & sink, recessed lighting, wired for 7.1 surround sound system with volume controls, generous storage, custom closets, smart panel network center, & central vacuum system.